The upcoming WWII Book Club meetings in 2016 are as follows. Mark your calendars! March 9: Pat Schuber, will discuss his WWII trip to Sicily and Italy, following invasion Husky and Avalanche and the advance of American and British forces. June 8: Bob Max will discuss his capture and treatment as a slave laborer for the Nazi's. Hope to see you there. If you have any friends or relatives who might be interested in attending any of the lectures, pass on the information. I hope every one has a Happy New Year. The next meeting is on Tuesday, November 17 at 7 p.m., “Veterans' Night. Travis and Justin Conley who talk about their grandfather who survived the Bataan Death March, was transported to Japan in one of the "Hell Ships" and finally liberated in August 1945. He wrote an amazing journal which I and Steven Lomazow are co-authoring a book about the experience. Maxine Giannini, author of the book Drawing D-Day will talk about her husband who served with the 116th Infantry Regiment of the 29th Division (same unit that was the subject of Paul Zigo's lecture last week). He penned many sketches of the unit in grim detail, which Maxine narrates in her book about her husband. 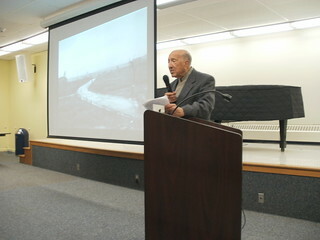 Alfred Deluca, a World War 2 Book Club member. His brother also served with the 116th Infantry. Alfred has pictures and letters he will share with us about his brother's service in this remarkable unit. Dr. Schonberg, the President of the Book Club will talk about his father's combat experience in North Africa, Sicily and Italy during the war. This past May, one of our most well received speakers, Ursula Pawel, passed away. 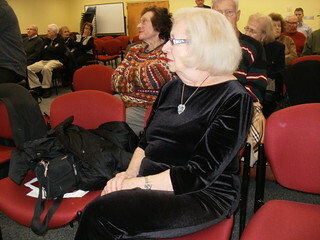 Ursula Pawel gave a lecture about her book My Child is Back at the New Jersey World War II Book Club on May 17, 2011. We are also fortunate to have an additional video taken by Nancy Webster from an August, 2012 visit with Dr. John McLaughlin and his wife, Mary Jean to the United States Holocaust Memorial Museum in Washington D.C.
We are looking forward to hearing Paul Zigo speak about his book, The Longest Walk, the story of the 116th Regiment, this Wednesday, October 21 at 7 p.m. in the Millburn Library. Our line-up of speakers for the winter and spring of 2016 promises to be an exciting one. A full calendar will be posted on this blog soon. The next meeting of the New Jersey World War II Book Club. If you have not yet done so, please pay your $35.00 dues to: WW2 Book Club of New Jersey and mail to Richard Schonberg, 15 Ballantine Road, Mendham, NJ 0945. Dr. John J. McLaughlin wrote this story as part of a project during his studies for a doctorate in History at Drew University. He made several trips to South Carolina, visited the Florence National Cemetery in Florence, South Carolina and searched the Revolutionary War records at Columbia, South Carolina. There will be no lecture in September. The next lecture will be on Wednesday, October 21, 2015. We are happy to inform the Book Club Members that we have a new President who will take over management of the World War II Book Club. John McLaughlin has had several meetings with Dr. Richard Schonberg who has agreed to take over management of the Book Club. 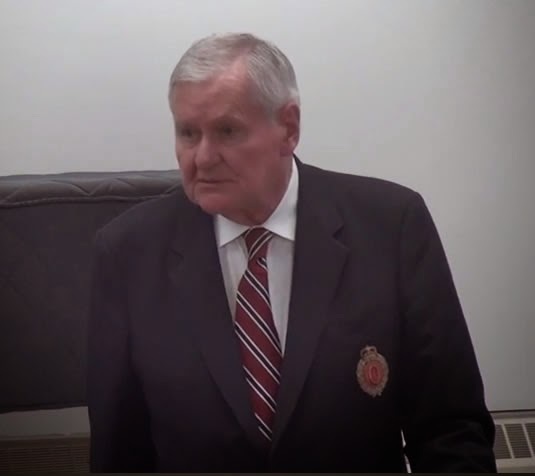 John McLaughin will continue as Moderator. 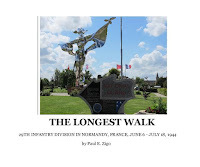 Paul E. Zigo will present a lecture at the Millburn Library on his recently published book, The Longest Walk, the story of the 116th Infantry Regiment of the 29th Infantry Division. (This lecture was previously scheduled for February 17, but cancelled because of a severe storm) The lecture will commence at 7 p.m. The 116th Infantry Regiment landed at Omaha Beach on D-Day June 6, 1944. They were featured in the riveting opening scene of the movie "Saving Private Ryan". This regiment lost one third of the 3200 men who made the landing that day. Paul has visited the site of the landing at least five times during the preparation of this book. Paul is an Assistant Professor of History and the Director of the Center for World War II Studies and Conflict Resolution at Brookdale Community College, Lincroft, NJ. He teaches American History, the History of World War II, Recent American History as well as Human Geography. 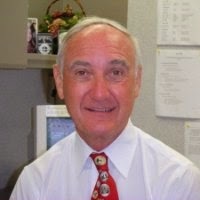 He earned a baccalaureate degree in history from Rutgers University in 1964, a master’s degree from Rider University in personnel and guidance in 1973 and a master’s degree from Temple University in recent American diplomatic and military history in August 2000. He also directs the Center for World War II Studies and Conflict Resolution at Brookdale, an educational resource center open to all interested in studying the historical impact and significance of the Second World War. Mr. Zigo is a 30-year veteran of the United States Army Reserve, retiring as a Colonel in 1994. 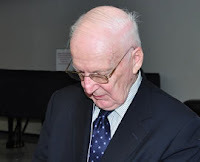 He is a 1989 graduate of the U.S Army War College, Carlisle Barracks, Carlisle, PA.
Ursula Pawel, whose presentation of her book, My Child Is Back, in May, 2011 was one of the Book Club's most well attended and received meetings, passed away on May 30, 2015 at the age of 89. In her 80s when she spoke to the Book Club, Ms. Pawel captivated the audience with her personal story of surviving World War II - through selection points at Auschwitz and close encounters with certain death, to finally being reunited with her mother after the war's end. The New Jersey World War II Book Club was honored to have Ms. Pawel speak and her lively presence, her witness to history, will be deeply missed. Our next lecture will be on Tuesday, June 23 at 7 p.m. at the Millburn Library. William "Pat" Schuber will speak about "Operation Anthropoid - The Assassination of Reinhard Heydrich." Mr. Schuber is a lawyer and teaches history at Fairleigh Dickinson University. 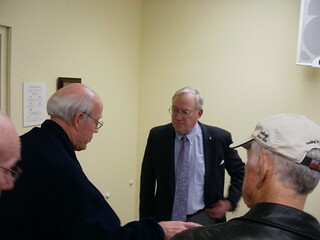 He is also a Civil War historian and has visited every one of the Civil War battle sites. Operation Anthropoid was the assassination of top Nazi leader Reinhard Heydrich, the Chief of Reich Main Security Office, the "Protector of Bohemia and Moravia" and the chief planner of the Final Solution. He was involved in most of Hitler's intrigues and a valued political ally, advisor and friend of the dictator. Due to his abilities and power he was feared by almost all the Nazi generals. Heydrich was nicknamed The Butcher of Prague, the Blond Beast or the Hangman. 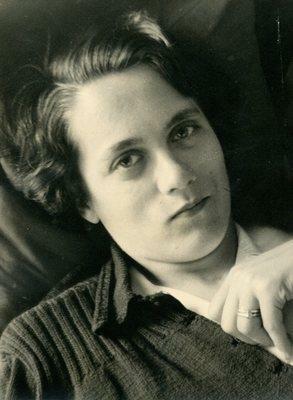 The exiled government of Czechoslovakia under President Edvard Benes was under pressure from British intelligence, as there had been very little visible resistance in the Czech lands since the German occupation began in 1939. Resistance was brutally destroyed by Heydrich. The decision to assassinate Heydrich was designed to give inspiration to the Czech people and show the world that the Czechs were allies. Heydrich was one of the most important men in Nazi Germany and his death would be a huge loss and a profound psychological victory. 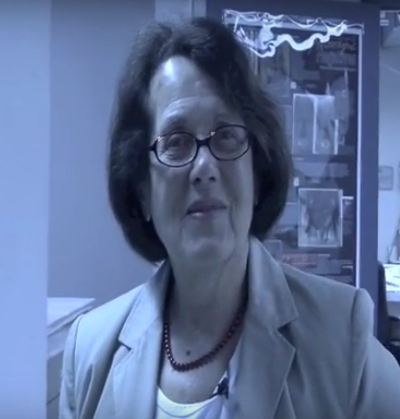 The carefully planned effort to kill Heydrich has been thoroughly researched by Pat Schuber, who has visited the site of the assassination and read extensively about the event. His lecture will include many slides, including images of the completely destroyed village of Lidice, which was leveled to the ground on personal orders from Hitler in retaliation for the assassination. The next meeting of the New Jersey World War II Book Club will be on Tuesday, May 19, at the Millburn Library, at 7 p.m.
Our speaker will be Bruce Tucker who will present a lecture, slides and some video on the Japanese Super Submarine (I-400 class) and Japan’s plan to use these submarines to alter the course of World War II. While there were a number of significant secret weapons developed during World War II such as jet aircraft like the ME-262 and missiles like the V-1 and V-2, one of the most secret and potentially most terrorizing of them all was a gigantic 400 foot long submarine that could travel 1 and 1/2 times around the world undetected and then surface briefly off the coast of a major US city like NY or Washington and launch a surprise attack. Although these monster Japanese submarines were never actually used as they were intended, and all traces of them disappeared shortly after the end of the war, they did manage to inspire the post war/cold war navy’s of the world with some of their astounding technologies. Two of their submerged wrecks, I-400 and I-401 were only recently discovered by divers in 2005 and 2013 off the coast of Hawaii. They now help to tell the rest of their story and why they were quickly disposed of by the US Navy in 1946. Bruce Tucker has taught history at Rutgers University School of Continuing Education Osher Life Long Learning Program and was recently awarded the 2015 Marlene M. Pomper OLLI-RU Teaching Award. Bruce also lectures and presents living history at various libraries, senior centers, community centers and public schools in New Jersey, Pennsylvania, and New York City. He is a graduate of the City University of New York and The Stevens Institute of Technology in Hoboken. 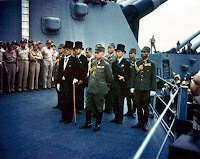 He lectured to us back in November, 2013 on Operation Catapult, the destruction of the French Navy during the fall of France in the summer of 1940, and was warmly received. The next meeting of the World War II Book Club will be at 7 p.m. on Tuesday, April 21, as usual at the Millburn Library, 200 Glen Avenue Millburn, NJ. 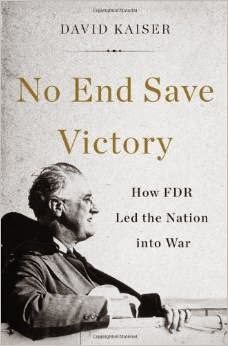 Our speaker will be David Kaiser who will lecture on his new book No End Save Victory - How FDR Led The Nation Into War. While Franklin Delano Roosevelt's first hundred days may be the most celebrated period of his presidency, the months before the attack on Pearl Harbor proved the most critical. Roosevelt skillfully navigated a host of challenges - a reluctant population, an unprepared military, and disagreements within his cabinet - to prepare the country for its inevitable confrontation with the Axis. In No End Save Victory, esteemed historian David Kaiser draws on extensive archival research to reveal the critical preparations that enabled the United States to win the Second World War. David Kaiser has taught history at Harvard, Carnegie Mellon, the Naval War College and Williams College. He is the author of seven books. Dr. McLaughlin heard this lecture at the FDR Library and immediately booked Mr. Kaiser for the World War II Book Club. He is traveling from Watertown, Massachusetts to deliver this lecture. This is a lecture everyone will enjoy. 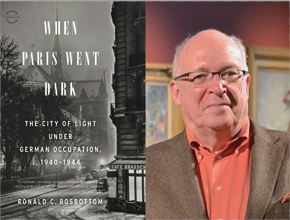 On Friday, March 13, at 8 p.m., Professor Ronald Rosbottom of Amherst College will present a lecture about his recently published book, When Paris Went Dark, at Words Bookstore located in Maplewood center at 179 Maplewood Avenue. The next meeting of the World War II Book Club will be on Tuesday March 17, 2015, as usual at the Millburn Library commencing at 7 p.m.
Our speaker will be Professor James R. Hedtke, a professor of history and political science at Cabrini College located in Radnor, Pennsylvania. 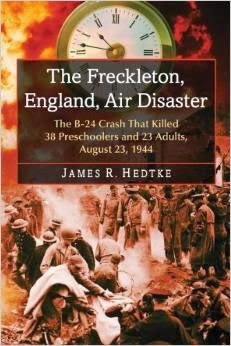 Professor Hedtke will talk about his recently published book The Freckleton, England, Air Disaster, the B-24 crash that killed 38 preschoolers and 23 adults, August 23, 1944. On that date an American B-24 Liberator crashed into the small village of Freckleton in northwest England, located approximately 50 miles north of Liverpool. The plane was on a test flight when it encountered a rare and severe thunderstorm. Air traffic control at the American air base Warton recalled the bomber back to the base. When the pilot attempted to abort the landing because of poor visibility and high winds, a downdraft caught the plane and it crashed into the adjacent village of Freckleton. The huge ball of fire that erupted, engulfed a local school, and destroyed close to an entire generation of children in the village of fewer than 1,000 inhabitants as well as 23 adults. The village would never be the same. Tragedies like this are not uncommon in war and most of them are very much overshadowed, receiving but brief press accounts and quickly overtaken by accounts of events deemed more newsworthy. 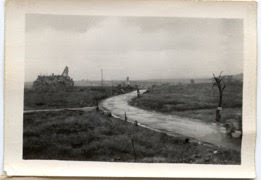 Professor Hedtke has made several trips to Freckleton, met and interviewed many of the survivors, and done extensive research in preparing and writing his compelling story of this tragedy. His account brings to life the events that caused such havoc and heartache to this tiny English village. We look forward to a wonderful evening. Unfortunately, the weather has prevented our speaker, Paul Zigo from speaking at our lecture tonight. The video of Dan McMillan's January 20 lecture on his book How Could This Happen: Explaining the Holocaust is now available on Youtube. 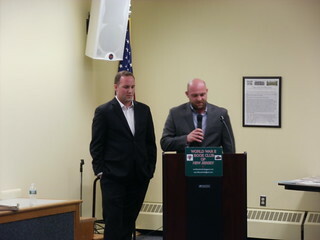 Thanks go to Richard Schonberg who taped and edited the lecture and Millburn Camera for the use of its equipment. The next meeting of the World War II Book Club will be at 7 p.m. on Tuesday, February 17, at the Millburn Library. 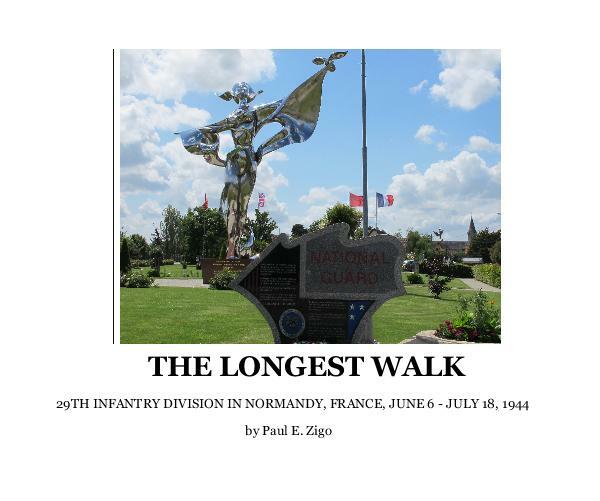 Our speaker will be Paul E. Zigo who will present a lecture on his recently published book, The Longest Walk, the story of the 116th Infantry Regiment of the 29th Infantry Division. The 116th Infantry Regiment landed at Omaha Beach on D-Day June 6, 1944 and were featured in the riveting opening scene of the movie "Saving Private Ryan." This regiment lost one third of the 3,200 men who made the landing that day. Paul has visited the site of the landing at least five times during the preparation of this book. Prof. Zigo is an Assistant Professor of History at Brookdale Community College and teaches American History, the History of World War II, Recent American History as well as Human Geography. 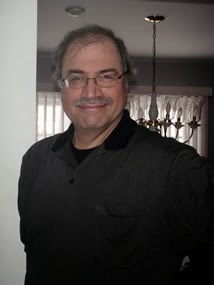 He earned a baccalaureate degree in history from Rutgers University in 1964, a master’s degree from Rider University in personnel and guidance in 1973 and a master’s degree from Temple University in recent American diplomatic and military history in August 2000. In addition, Prof. Zigo is the Founder and Director of the Center for World War II Studies and Conflict Resolution at Brookdale. The Center for World War II Studies and Conflict Resolution is an educational resource center open to all interested in studying the historical impact and significance of the Second World War. Mr. Zigo is a 30-year veteran of the United States Army Reserve, retiring as a Colonel in 1994. He is a 1989 graduate of the U.S Army War College, Carlisle Barracks, Carlisle, PA. We look forward to a wonderful evening. Please mark the date. The video recording of Richard Osborne's November lecture is now available on Youtube, thanks to Jasen Aziz and Ryan Sullivan, Sophomores at Millburn High School, who filmed and edited the lecture.